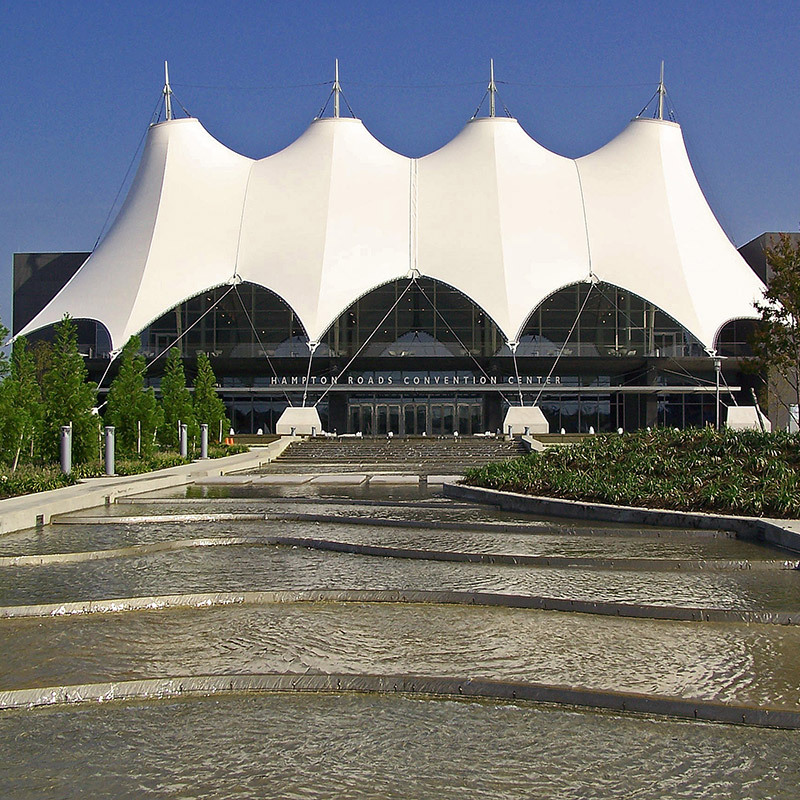 Boasting 35 meeting spaces with the capacity for up to 14,000 delegates, as well as a 108,000-square-foot exhibit hall (divisible by three), the Hampton Roads Convention Center, is the perfect venue for any indoor athletic event. Over 2,700 hotel rooms in close proximity, including an award-winning Embassy Suites hotel, support the center. 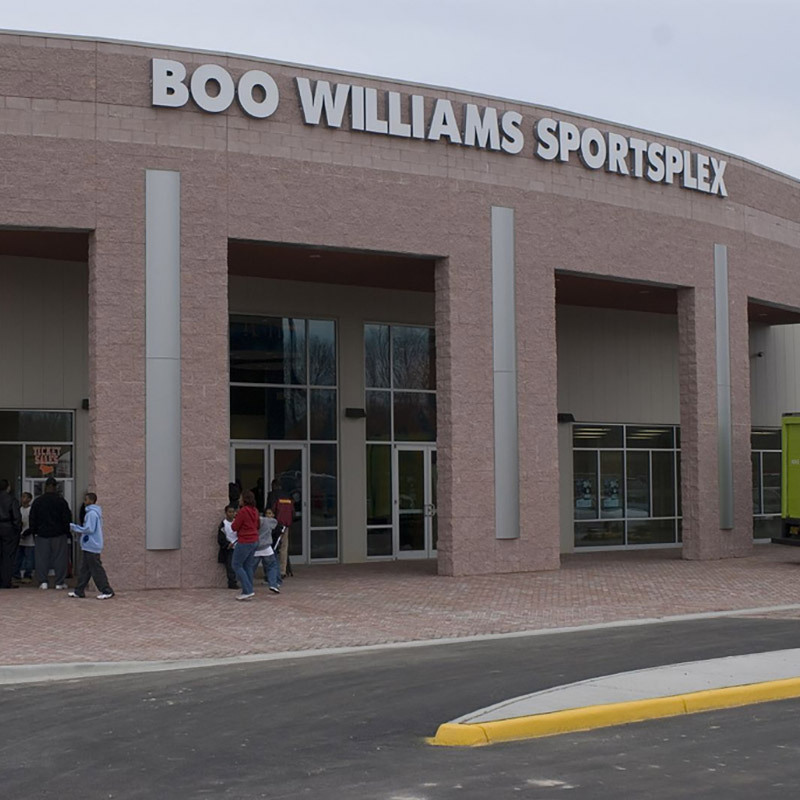 A specially designed sports facility dedicated to amateur athletic competition, the Boo Williams Sportsplex is a 135,000-square-foot sports facility designed to host basketball, indoor field hockey, volleyball, dance, cheerleading and other indoor events. Developed by Boo Williams, in partnership with a group of investors and in conjunction with Hampton, this indoor sports and event center opened its doors in 2008, becoming the largest Sportsplex between Washington D.C. and Greensboro, N.C.
One of the most recognizable architectural jewels in all of Hampton Roads, Hampton Coliseum is set on 75 acres adjacent to the Hampton Roads Convention Center. 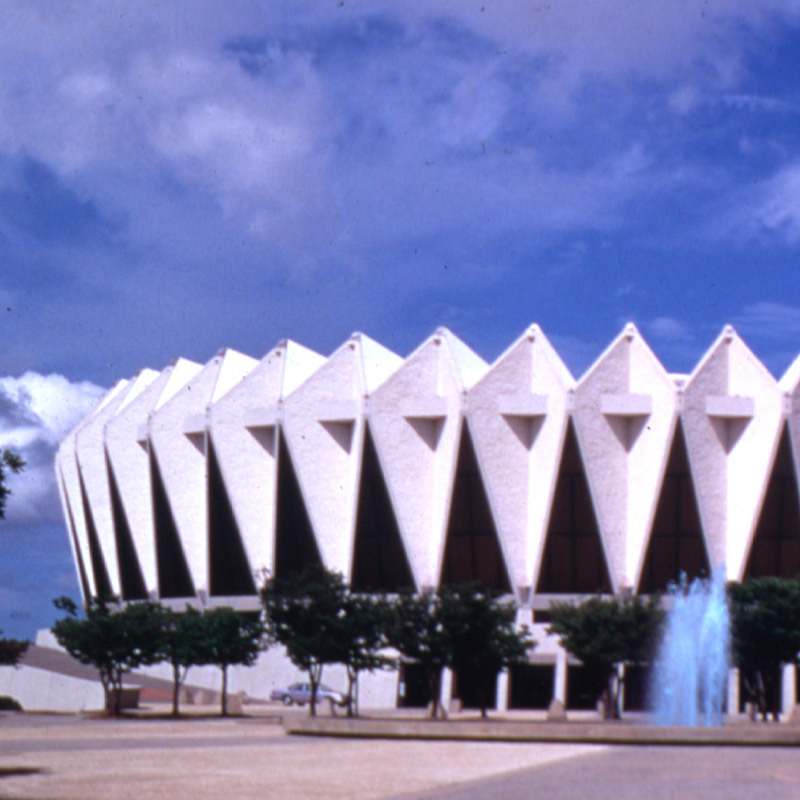 The venue opened in 1970 – the first large multi-purpose arena in the Hampton Roads region and the state of Virginia. The venue’s capacity is configurable from 9,800 to 13,800 seats. Located on the Hampton University campus, the HU Convocation Center has been hosting athletic events since 1993. Accommodating such indoor sports as basketball, cheerleading, aerobics, fencing, boxing, karate and wrestling, the center boasts a 14,112-square-foot exhibition floor and ample stadium seating for 7,200 attendees. Other amenities include a pressroom, two meeting rooms, loading dock, dressing rooms and two concessions stands. Set on 49 acres in the heart of Hampton, Briarfield Park is the perfect outdoor venue for both youth and adult athletics such as archery, softball, baseball and tennis. The park is home to four lighted softball fields, five lighted tennis courts, a fitness trail, large playground, four large picnic shelters, bleacher seating and a concessions stand. 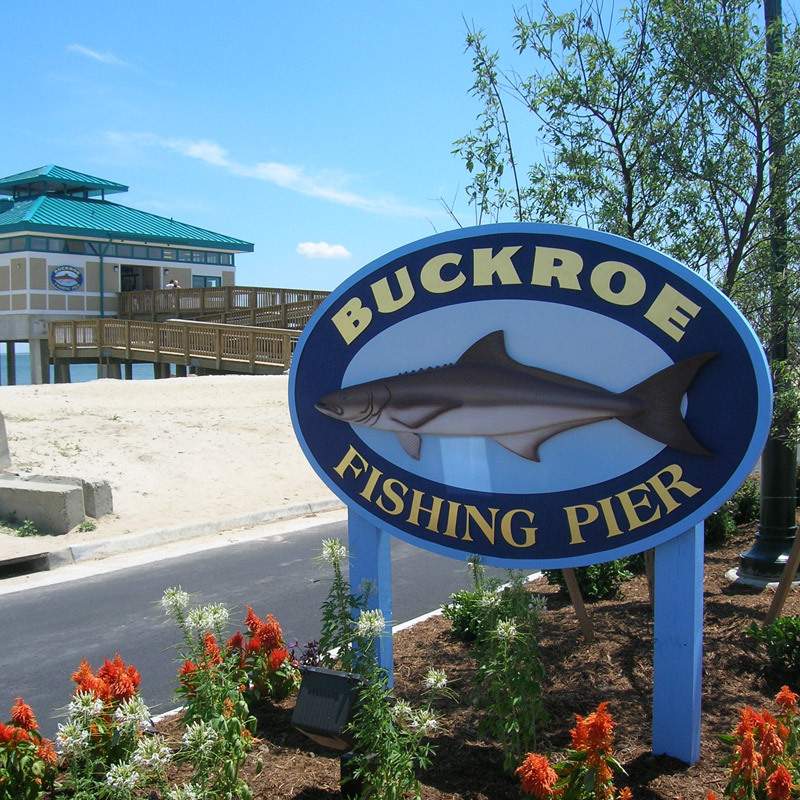 Lapped by the gentle waters of the Chesapeake Bay, Buckroe Beach is one of Hampton’s most scenic spots. This three-quarter mile beach is the perfect outdoor playground for sports enthusiasts and recreational beachgoers alike. Buckroe Beach offers eight acres of family-friendly sandy beach, a playground for children, picnic shelters with tables and grills by reservation, a great walking and bike path, and spacious car park areas. Darling Stadium is home to a number of state and regional athletic competitions. The state-of-the-art stadium can accommodate archery, football, field hockey, rugby, soccer, and track and field. Aside from spectator seating for 8,000 and its 8-lane track, it features outdoor lighting, fencing, two concessions stands, and is readily equipped for television and radio broadcasts. Home to the Hampton University Pirates football team, Armstrong Stadium has hosted the NCAA Division II national track and field championships as well as numerous Division I conference competitions and championships. The stadium seats 17,000 spectators and is equipped to easily handle such outdoor sporting events as archery, football, rugby, and track and field. The second-largest developed park in Hampton at 105 acres, Gosnold’s Hope Park is home to the Hampton Supertrack. This sculpted outdoor bicycle course is home to ABA racing and numerous annual competitions. Gosnold’s Hope Park offers eight picnic facilities complete with tables and grills, campsites and restrooms, perfect for winding down after a day of heavy competition or practice. For a truly nostalgic feel, hold your next baseball tournament in one of the few all-wooden ballparks left in the world! Home to the Peninsula Pilots of the Coastal Plains League, an event in this beautiful retro setting is like a visit to baseball’s early years. This stadium seats 5,125 spectators with large percentage of those seats being covered seating. War Memorial Stadium is one of the largest all-wooden ballparks in the world. 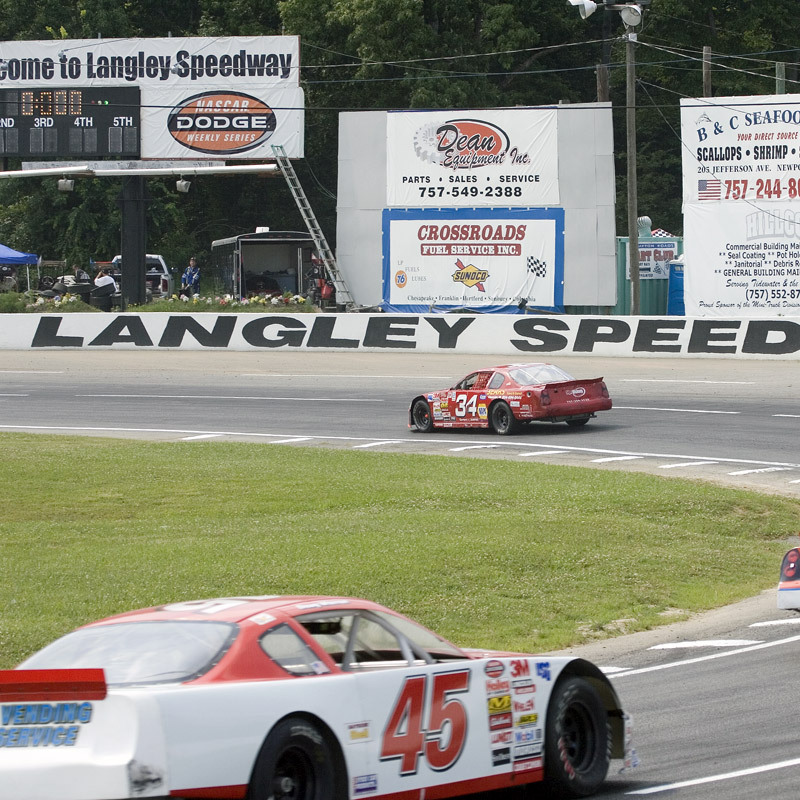 Home to the only weekly racing series in Hampton Roads, races at Langley Speedway feature Grand Stocks, Modifieds, Legends, Super Trucks, UCARS, Super Street and NASCAR Weekly Racing Series Late Models.